Both my kids suffered from newborn jaundice. I tried to breastfeed them exclusively since birth at that moment. What’s the result? 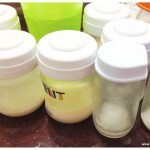 My first baby received supplementation (since day 5 and I could never get to breastfeed him exclusively ever since). My second baby was lucky, because even though her bilirubin level also shot up pretty high, I managed to breastfeed her exclusively. What was the difference? What are the things that I learnt from my past experience? In this story I would like to share with you how I dealt with my newborn jaundice as I struggled to breastfeed them. I hope this story would be beneficial for mothers out there who face the same problem. As the usual procedure, one day after my baby was discharged from the hospital, we brought her to the nearest polyclinic for follow-up test of bilirubin level. With my first son, I was surprised that his bilirubin level had increased. Since I was exclusively breastfed him at that moment, the doctor advised me to nurse him more often. Eat a lot, drink a lot, she told me. She asked us to come back after 2 days to monitor my baby. On the follow-up day, my baby’s bilirubin level shot up pretty high. The doctor scold me for not doing a good job of nursing my baby. She advised to give him formula supplementation to get the bilirubin level down, otherwise my baby might need to go to hospital for phototherapy. You know, the more liquid that our baby gets, the faster the bilirubin being removed from their baby. As a new parents, hearing that our baby might need to go for hospitalization made us shiver. That’s why we decided to give him formula milk. As for me, I still tried my best to breastfeed him. I even consulted my case with a lactation consultant by phone. But when my baby screamed loudly for milk, I know that at this moment he needed more than what I could provide for him. That was the beginning how my son received mix feedings. And how was his bilirubin level? As expected, the moment he got supplementation, the level had decreased tremendously. As a mom, I felt relieved that his jaundice slowly went away, while on the other hand, I felt very sad for not being able to breastfeed him exclusively. With my second baby, I determined to strive very hard to breastfeed her only. I read and read a lot of articles about breastfeeding and newborn jaundice. But I think the most turning point for me was when I signed up for breastfeeding class in KKH (the hospital where I gave birth). It was a one-to-one session between you (and your spouse) with the lactation-certified nurse that gives me necessary information about breastfeeding. I remembered we asked the nurse a lot of ‘what if’ situation, especially when the baby gets jaundice. How would we deal with it while keep breastfeeding her. The nurse explained patiently that a jaundice baby can get very sleepy, and it leads to inadequate nursing. Inadequate nursing will lead to breast not producing the required amount of milk, and not-enough-milk means baby won’t be eager to nurse, and the cycle will go on and on. So, when baby no 2 arrived, we already prepared ourselves that she might suffer from jaundice, and she was. Before discharged from hospital (day 2), her bilirubin level was 79. During her first check up (3 days old), it has gone up to 159. During that visit, we had quite a bit of discussion with the doctor who examined her. We told them our case that we breastfed her exclusively. We told them our worry that during these very first days we were worried that my breastmilk might not be enough for her to get rid of the jaundice. We asked them how and when the formula supplementation would be necessary. The doctors assured me to continue breastfeeding her and they promise to monitor her closely. So every day I tried my best to give her adequate feedings, monitor her diaper count to ensure she got enough nutrient intake. But jaundice baby tends to be sleepy and lazy to nurse. So did my baby. I tried to wake up her a lot for feeding but she just slept at breast. So, with my husband support, I tried to express my milk (in fact, it was still colostrum) and feed her the pumped milk in addition to direct latch on. It helps. At least, her diaper count increases. I was a little bit relieved, but also curious at the same time because my real milk (the white milk after colostrum phase) has not come in. Finally on day 5, I noticed longer gulping sound from my baby while she was nursing. Finally you are here, oh my precious milk. On day 6, we went for another check up. My baby was all yellow, her eyes, faces, body, and even her feet. We were a bit concerned if she would need phototherapy at the hospital. While waiting for our turn, we were approached by a lady, who turned out to be a research officer from NUH (National University Hospital), which conduct a survey on jaundiced baby. She had a bilirubin meter which allows measurement of bilirubin level non-invasively. So we volunteered our baby to be measured by her, and her reading shows 220 (with +/- 80 points because this detovice is still under research). She exchanged quite a lot of information, and encouragement for us in taking care our jaundiced baby. Fortunately, when we entered the doctor’s room, the actual reading (taken by blood test) was not that high, 197. Well, at least it didn’t surpass 200. The doctor was quite optimistic that the level would go down slowly, especially given the fact that my milk started flowing in. What a huge relieved for us. Back home, I tried to express milk more diligently. I even tried nursing one side and pumping the other side. The efforts paid back. On day 8 when we came back for another check up, the bilirubin level has gone down tremendously to 119. The doctor was quite surprised with such a huge improvement. They congratulated us for fighting this jaundice with exclusive breastfeeding. Well, we still need to go for another follow up one week later, just to ensure it finally disappear. But for us, it was such a huge achievement. What about you? Does your baby suffer from jaundice? What did you do back then? If you are interested in breastfeeding / pumping related tips and tricks, please visit my breastfeeding website at http://www.livingwithlowmilksupply.com.